Nanodiamonds, pieces of carbon less than ten-thousandths the diameter of a human hair, have been found to help loosen crystallized fat from surfaces in a project led by research chemists at the University of Warwick that transforms the ability of washing powders to shift dirt in eco friendly low temperature laundry cycles. These new findings tackle a problem that forces consumers to wash some of their laundry at between 60 and 90 degrees centigrade more than 80 times a year. Even with modern biological washing powders, some fats and dirt cannot be removed at the lower temperatures many prefer to use for their weekly wash.
A desire to reduce the significant energy burden of regular high temperature washes, and understand the behaviour of these new materials, brought University of Warwick scientists and colleagues at Aston University together in a project funded by the UK Engineering and Physical Sciences Research Council (EPSRC) and P&G plc. This “Cold Water Cleaning Initiative” funded a group of chemists, physicists and engineers led by Dr Andrew Marsh in the University of Warwick’s Department of Chemistry to explore how new forms of carbon might work together with detergents in everyday household products. 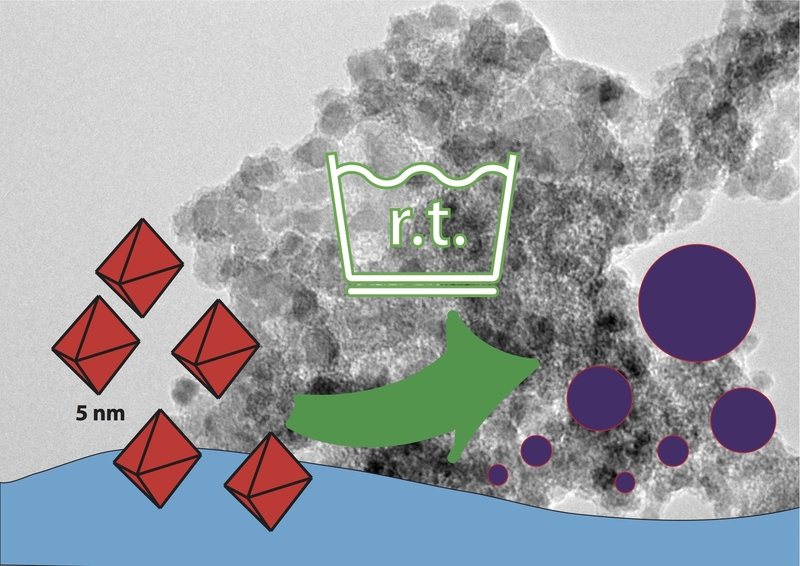 Dr Andrew Marsh said: “We found that the 5 nanometre diamonds changed the way detergents behaved at 25 degrees centigrade, doubling the amount of fat removed when using one particular commercial detergent molecule. "Even at temperatures as low as 15 degrees centigrade, otherwise hard-to-remove fat could be solubilised from a test surface. Dr Andrew Marsh, Department of Chemistry, University of Warwick, Coventry CV4 7AL. Crucial pieces of equipment used in this research were funded through the Science City Research Alliance (SCRA) Advanced Materials project. SCRA is a strategic research partnership between the University of Warwick and the University of Birmingham with a specific remit to work with businesses across the region. It has benefited from a multi-million pound investment in equipment and research infrastructure across both institutions via Birmingham Science City and the European Regional Development Fund.